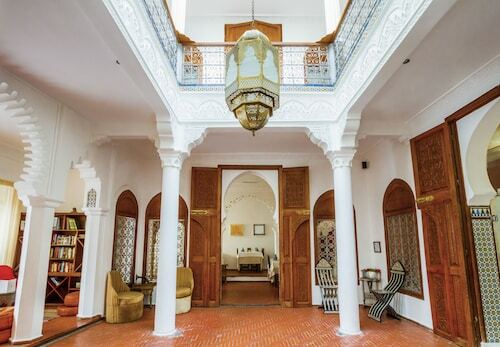 Situated in the historical district, this riad is within a 5-minute walk of Mohammed V Avenue, Tetuan Palace, and Feddan Park. Medina of Tétouan and Plaza Primo are also within 10 minutes. 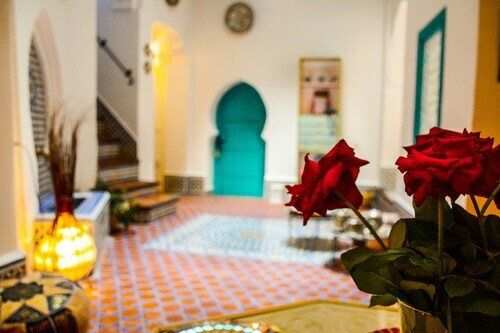 Situated in the historical district, this riad is within a 10-minute walk of Medina of Tétouan, Tetuan Palace, and Mohammed V Avenue. Feddan Park and Plaza Primo are also within 15 minutes. How Much is a Hotel Room in Medina of Tetouan? 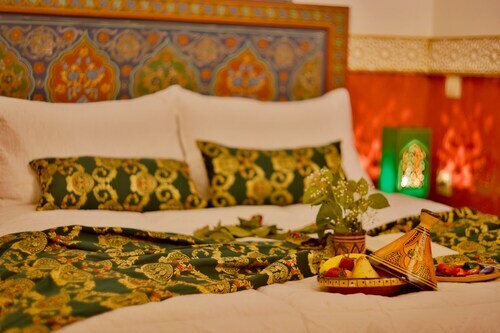 Hotels in Medina of Tetouan start at $47 per night. Prices and availability subject to change. Additional terms may apply. Looking for hotels and apartments in Tangier - Mediterranean Coast, particularly close to the Medina of Tetouan area? You'll find 9 hotels and apartments here that should tick all your boxes. Travelers hoping to have a base right by downtown Medina of Tetouan, will be inspired by the Hotel Blanco Riad and Riad El Reducto. You could check out the Marina Smir Hotel & Spa as well as the Hôtel La Paloma. The Marina Smir Hotel & Spa is just 12 miles (20 kilometers) from central Medina of Tetouan. The Hôtel La Paloma, is 2 miles (4 kilometers) away. Another option is to check out the rates and amenities at the Jawhara Smir Residence or the Mirador Golf Residence. Why don't you take the time to spread your wings and visit the many other attractions of Tangier - Mediterranean Coast while you are in this area? Enjoy Tangier - Mediterranean Coast's beaches, desert landscapes and caves. In addition you could visit a selection of the region's old towns and fortresses. Common pastimes in this particular part of Morocco include horse riding. Looking for more things to do? 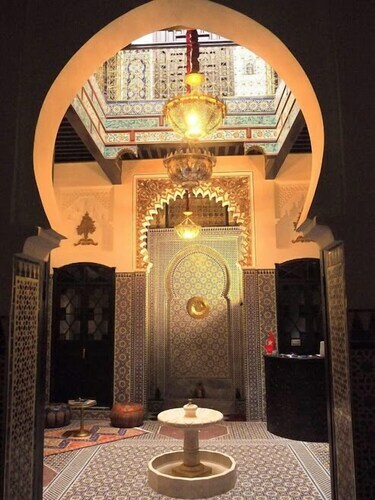 Consider spending a day or two discovering Fnideq Mosque and Centro Comercial Benamar, which you'll find in Fnideq, 18 miles (30 kilometers) to the north of Medina of Tetouan. Travelocity-listed Fnideq hotels and accommodations include the Hotel ibis Fnideq and Banyan Tree Tamouda Bay. Or, you could stay the night in Asilah, 35 miles (60 kilometers) west of Medina of Tetouan, where you can choose between the Hotel Al Khaima and Dar Manara. The Paradise Beach and Centre Hassan II are more popular sites to explore in Asilah. If you are passionate about sport and adore watching thrilling games make sure you stop by Stade de Marchan, which can be found 30 miles (47 kilometers) to the northwest of Medina of Tetouan. Find a Travelocity-listed hotel near the sporting action at the El Minzah Hotel or the Dar Chams Tanja. If you are flying into or out of Ibn Batouta Airport and are looking to find a hotel in the area, consider Hotel ibis Tanger Free Zone or Hotel ibis budget Tanger.